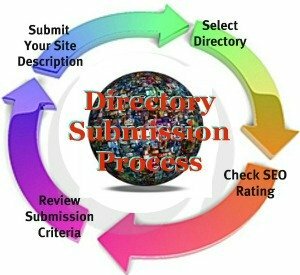 The directory web site submission process is essential to marketing your website, building visibility, credibility and your reputation on the internet. Listing your website with directories is actually quite a simple process. Although, without a doubt, website submission is a boring and tedious task but an absolutely necessary one! Personally, I find it helpful to use directory submission software in order to make the process go much faster and to make the most efficient use of my time. I have used the free version of the Internet Market's Directory Web Site Submission software but have long since upgraded to their premium level directory submission software since it offers so many more options and features. tedious site building and SEO chores quick and easy! While I haven't found any directory web site submission software to be perfect and without a few annoying idiosyncrasies, I appreciate that I can achieve my goal of submitting to at least 5 to 10 directories each week in a matter of 5 to 10 minutes rather than an hour or more. Listing your website with both the "big" directories as well as with small niche related directories is vitally important for building valuable back links and search engine recognition. There are literally a gazillion web directories that offer links for free. Other directories charge a fee or require a link exchange. I recommend listing your website with both free and paid directories. However, I do skip the directory sites that require a link exchange. Here's the scoop between the two. . .
Looks matter: If the site looks cheesy or ill-kept, pass. Size does matter: If the site only shows a handful of listing in each category, pass. Be patient. It can take months (and sometimes never) for some directories to list your site for "free". Listing your website with directories certainly reinforces the adage, "You do get what you pay for." As with any premium service, your submission receives attention- fast! Usually you will find that paid directories offer a good page rank along with delivering a fair amount of consistent traffic to your site demonstrating that your investment is worthwhile! My favorite paid directory is Best of the Web. It is the oldest, most respected directory on the internet. They charge $99.95 for 1 year or $299 lifetime listing fee. Don't pay to submit your site to any of the major search engines! (Although you will need to submit your site map if your web host doesn't do that for you in order to alert their "spiders" to crawl your site.) Eventually, all the major search engines will find your site and it will get listed! Just be patient. Save your money for a better return on your investment. Why waste $299 a year on a Yahoo listing when they don't even guarantee that your site will be listed? Search engines have programs which crawl around the web gathering information about websites. You've no doubt heard of the Googlebot, then there is Yahoo Slurp and other search engines have similar types of "spiders" which crawl around your site and feed their respective search engine information about your site's content. Trust me, as you add content overtime, your site will get listed with all the major search engines so save your money! So not to worry. . .
With enough content and as you build both your internal and external links the major search engine spiders all eventually come to pay your website a visit and harvest the information necessary to index your site.